If you bought your flat screen television from anyone else chances are they can't hide your wires within the wall and install a code compliant electrical outlet behind your new wall mounted TV. 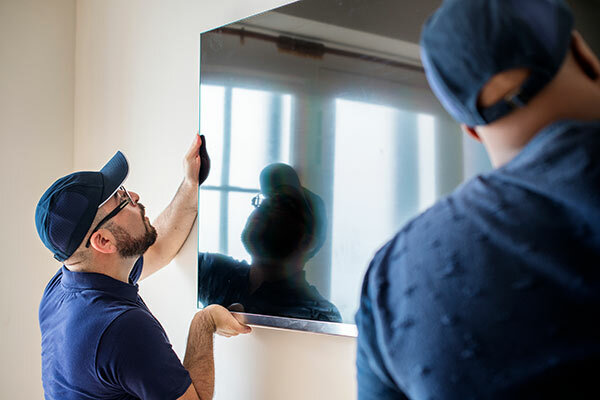 A hidden wire installation requires a state electrical license and Electronics World has hung more flat-screen televisions since 1998 than anyone else in the area! Electronics World technicians are well equipped with everything you need to connect your flat screen television. From an electrical outlet addition, HDMI cabling, fiberoptic cabling to Ethernet cabling. We can even install a sound bar directly below the television without any visible gaps. Our selection of professional TV mounts will afford you a range of options from full motion articulating, tilting, flat and super thin brackets. Do you want the cleanest installation available? Then consider our in-wall utility panel, it hides behind your TV and conceals your cable box, surge protector and other accessories providing a truly hidden installation. 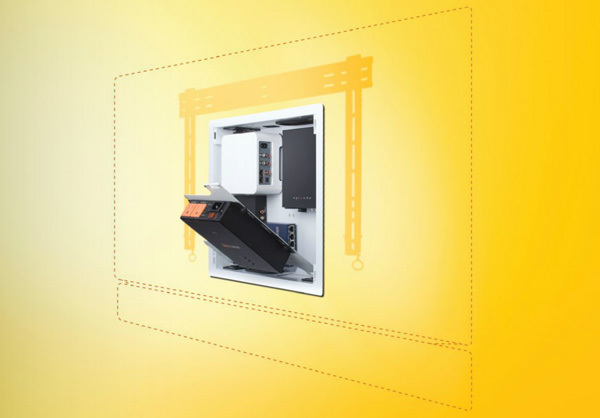 Our in-wall versatile utility wall box conceals items such as surge protectors, media streaming devices, modems, switches and other accessories neatly behind the wall allowing your television a flush installation.